A “bubbly” teenager was found dead in bed by her girlfriend, a court heard. Jenna Davison was 18 when she died on December 9 at her home in San, Bridgend. 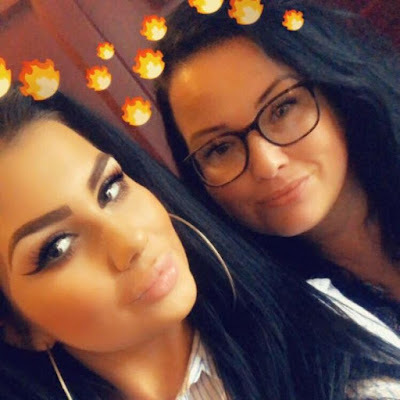 Pontypridd Coroners’ Court heard on Tuesday the make-up artist and trainee hairdresser had planned to go to Winter Wonderland in Cardiff the night before with girlfriend Melissa Nottingham, whom she had met on Tinder a few months before. But the pair instead decided to meet at Miss Davison’s home for a “few drinks”, Miss Nottingham said. She told the hearing they drank vodka and listened to music and watched YouTube videos together. They also took a “few lines of cocaine” as each had their own supply, she said. Miss Nottingham said her girlfriend offered her a morphine tablet but she declined as she was falling asleep. She said she didn’t see Miss Davison take any morphine tablets herself. After FaceTiming a friend at around 1.20am on December 9 the pair went to bed and Miss Nottingham said her partner didn’t complain of feeling unwell at the time. At around 11.30am Miss Nottingham said she got up to use the toilet and she also checked Miss Davison’s phone. “I just gave her a kiss on the cheek and cwtched up next to her,” she told the hearing. “I woke up again later and went to give her a kiss and noticed that she’d not moved so I went to hold her hand and I noticed her lips were blue and she was cold. “I tried to wake her and opened her eyes and noticed her pupils weren’t responsive. “All of a sudden I was stood up on the stairs fully dressed. I don’t remember even changing.